Characters: 3 I did like Nat and Dan. I thought that they made a good couple who had their own struggles personally and together. Dan feels inadequate next to high watt Nat, and Nat is insecure with herself behind her strong vibrato. While they made for very compelling characters on paper, there was some kind of barrier to them that I just couldn't get past. Right when they'd start to gain dimension, an off or tritely cliched comment would send them hurling back into black ink and paper. Plot: 4 I did like the plot. I enjoyed the rehashing of a relationship that already happened. I also loved the expedited timeline, hitting on a year by the major events. Instead of stunting the development, it made for a snappy, quick read. Writing: 3 I had a few problems with the writing throughout the book. It was a dual narrative in the sense that Nat writes letters which are delivered to Dan. Dan narrates the present timeline with some comments about the letters and event of his own, but Nat owns the back story. Additionally there are emails and text threads sandwiched between his words and her letters. Maybe it was just me, but even with the italic font indicating Nat was writing, I would laps into forgetting it was her talking till I hit a piece of dialogue that didn't sound right from Dan's mouth. They had too similar of a voice for my taste. The two points of view could have used a bit more development. I also didn't really enjoy the tone of the story. 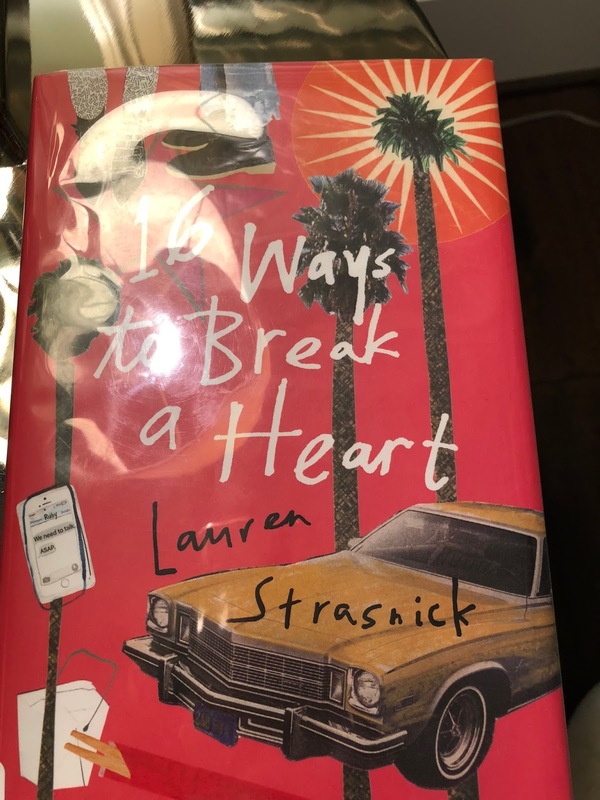 I get that it's set in LA with plenty of ridiculous rich people, but it felt, at times, like Strasnick was working to delegitimize her story or make fun of it by throwing in so many cliched elements. 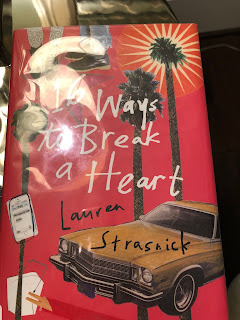 I feel that all the characters were stifled a bit by the mold the author felt she had to hold them in, even when they gasped to run wild.